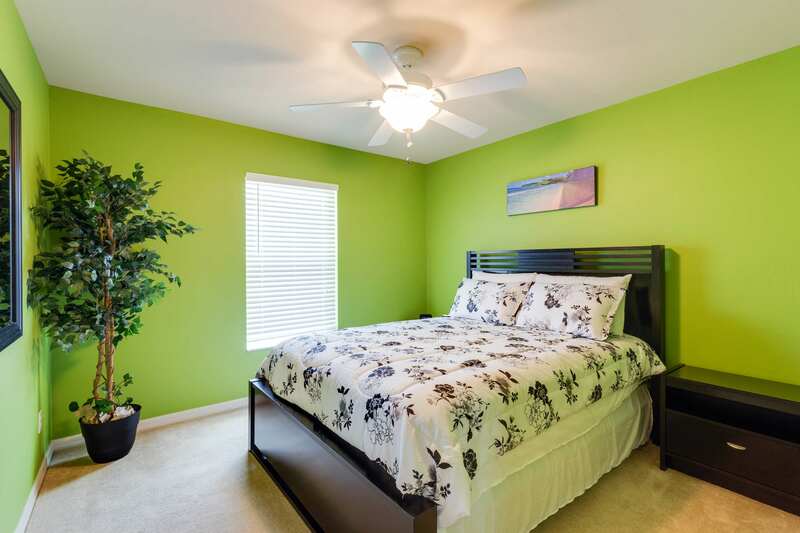 Lovingly decorated villa with 1600 sf of living space. 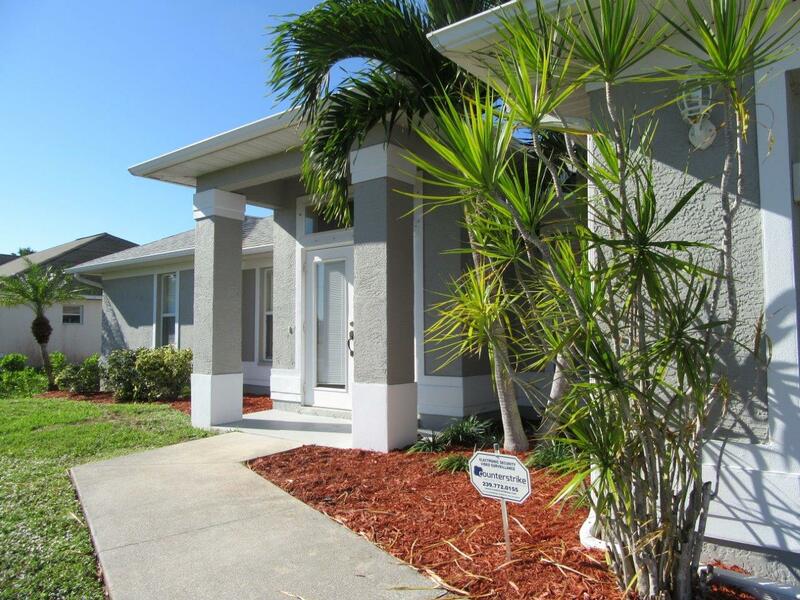 Large pool and central location make this a wonderful vacation home. Stepping inside of this 1600 square foot, lovingly decorated home is like stepping inside your own private vacation paradise. 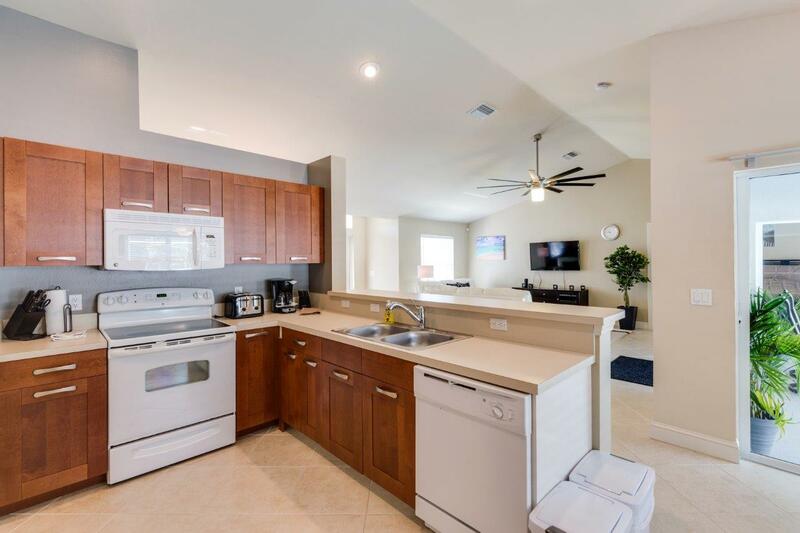 This home with a heated pool is only a few minutes away from Cape Harbor Marina, golf courses, and shopping plazas. 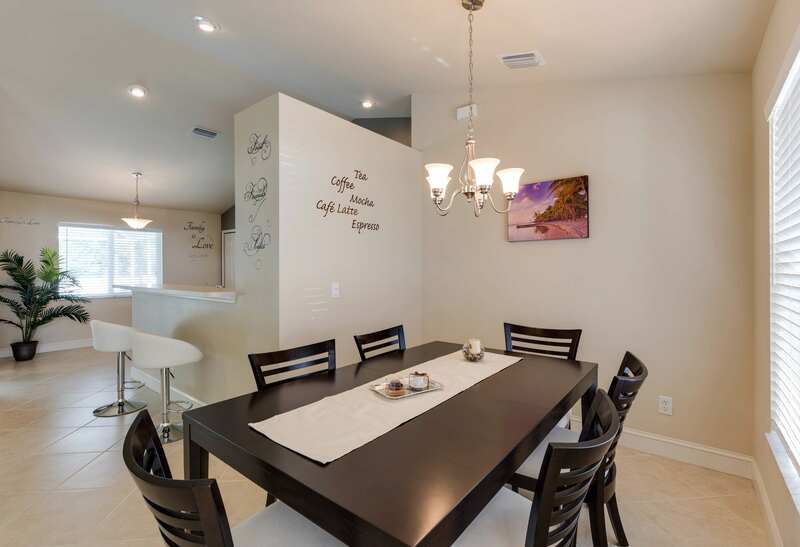 The home's central location offers quick access to some of the area's favorite restaurants and grocery stores. 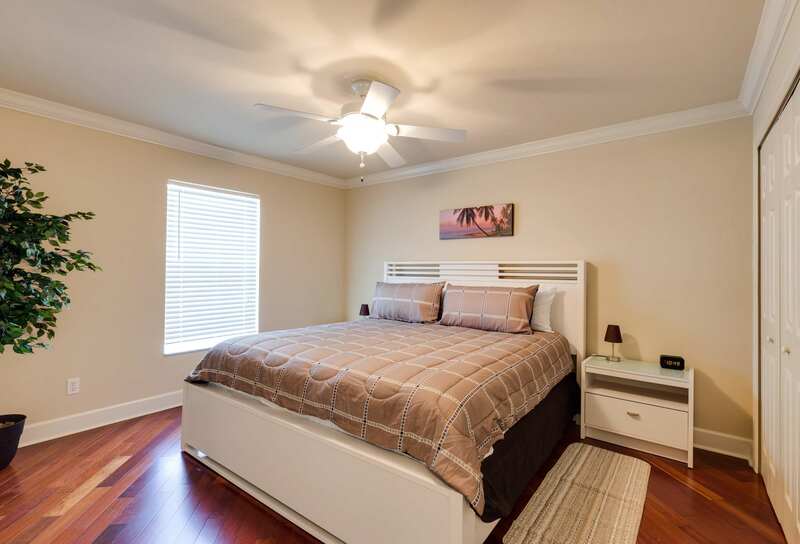 Two of the home's bedrooms have king size beds while the 3rd bedroom is equipped with a queen size bed. 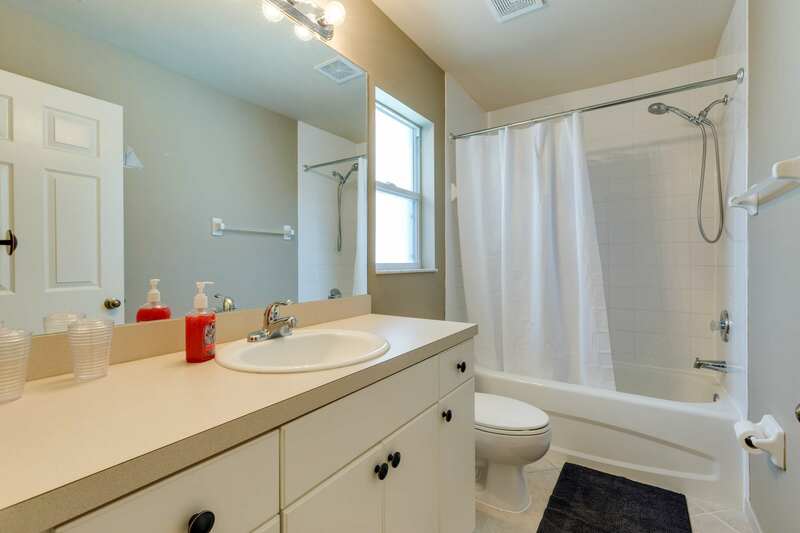 Both of the bathrooms have showers and one also has a bathtub. 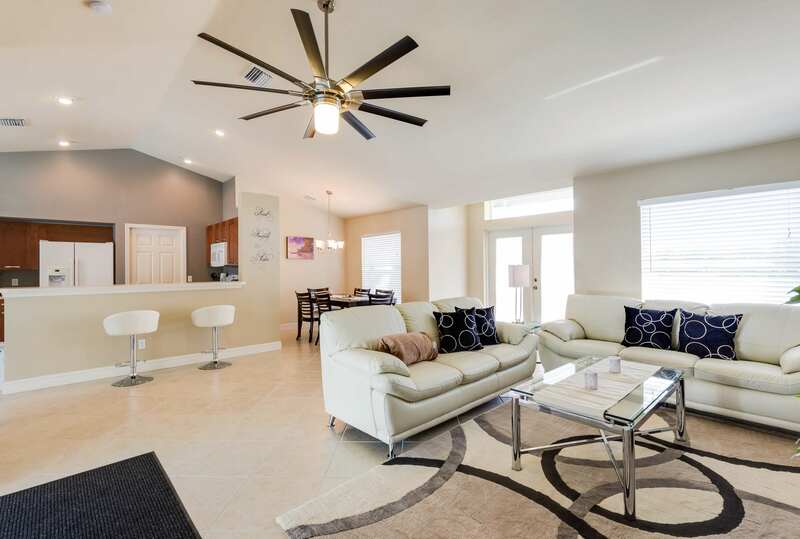 In the spacious, combined living room/dining room area, you will find an LCD TV, DVD and Blue-Ray player, and Bluetooth enabled home entertainment system. 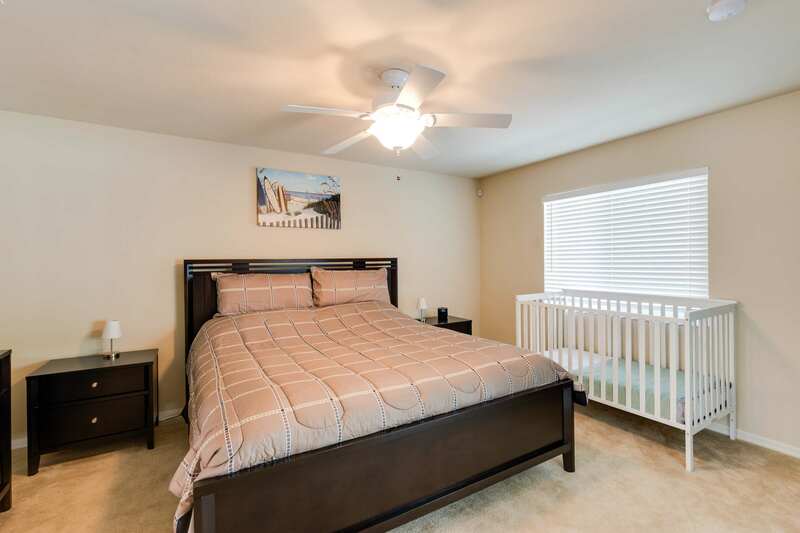 The master suite also has an LCD TV with cable, while you'll enjoy free WIFI throughout the house.n The garage is connected to the house for easy access to your rental vehicle. The pool area has the coveted western exposure, perfect for watching our beautiful, Florida sunsets. There is also a southern facing deck area with 2 loungers perfect for sunbathing. 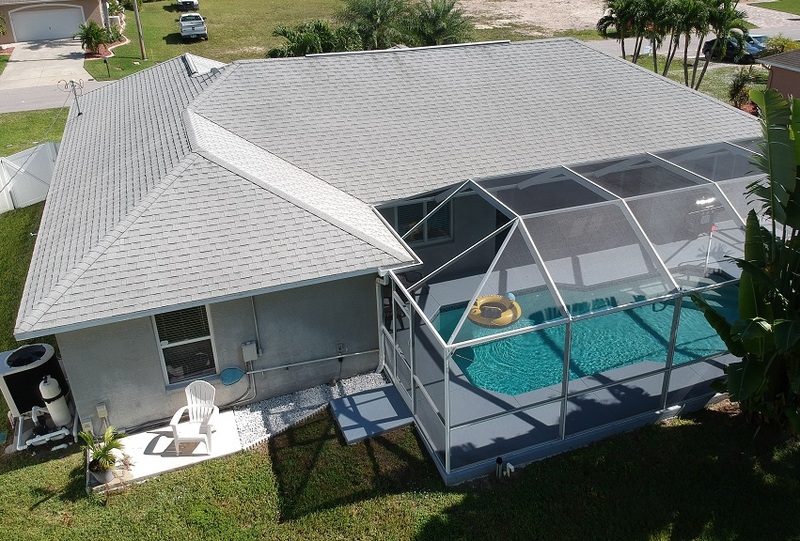 Enjoy barbecuing on your lanai- a screen enclosed patio- on the included gas grill. 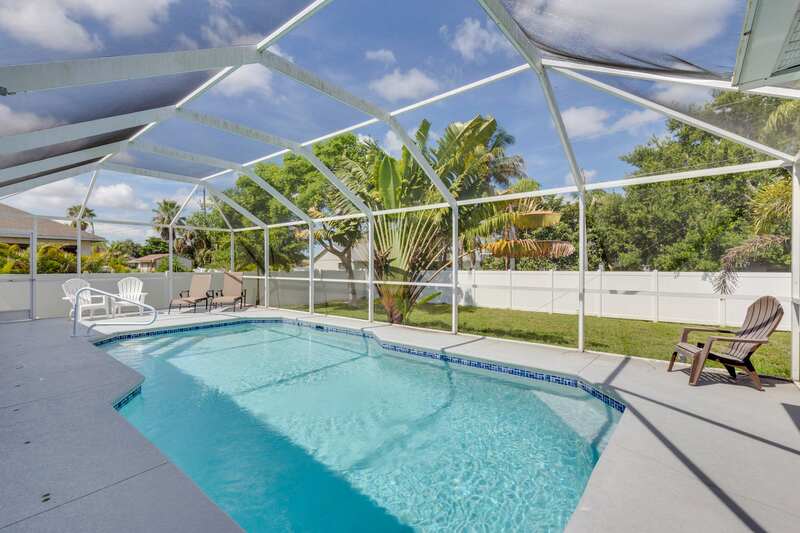 The large back yard is enclosed with a fence for maximum privacy and enjoyment. Cleaning fee: $160. Deposit: $500. Electricity: $25/week for additional KWH: $0.13/KWH. 6% sales tax and 5% tourist tax not included. The pool is quickly secured with a small fence to protect children. A crib and a high chair are available at no additional cost. This is a wonderful vacation home for families. Small dogs are allowed with prior approval. No other pets are allowed. Please remember that this is a non smoking home.